If it was a dream, it certainly was a good one! Well, except for the part when I was seasick. That was a bit more of a nightmare, but let’s not talk about that again. It all turned out okay, right? 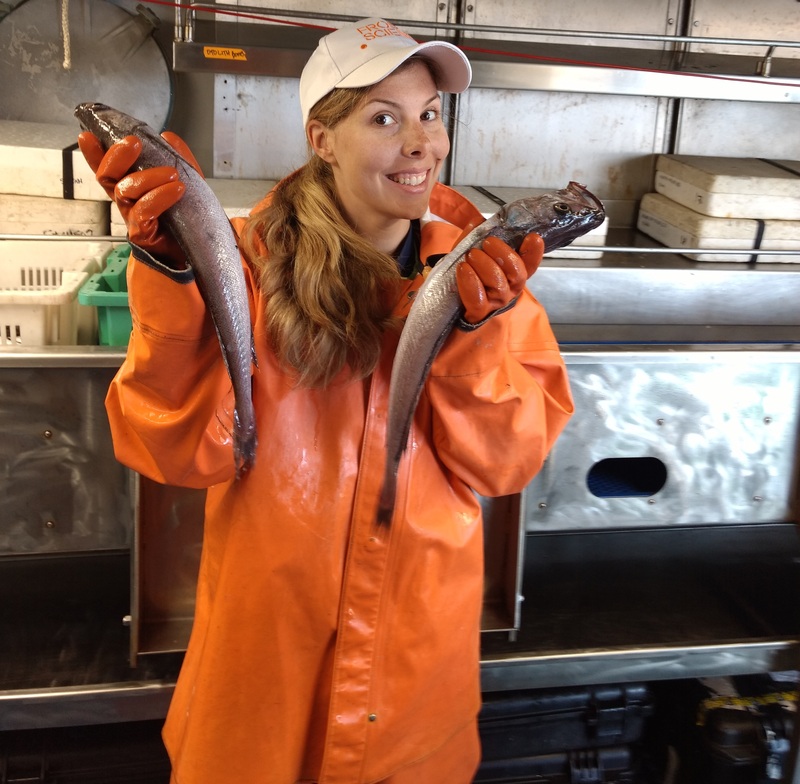 I didn’t know what to expect when signing on with the Teacher at Sea program, and I’m amazed at how much I learned in such a short period of time. First of all, I learned a lot about marine science. I learned how to differentiate between different types of jellyfish, I learned what a pyrosome is and why they’re so intriguing, I learned that phytoplankton are way cooler than I thought they were, and I can now spot a hake in any mess of fish (and dissect them faster than almost anyone reading this). I also learned a lot about ship life. I learned how to ride an exercise bike while also rocking side to side. I learned that Joao makes the best salsa known to mankind. I learned that everything – everything – needs to be secured or it’s going to roll around at night and annoy you to pieces. I even learned how to walk down a hallway in rocky seas without bumping into walls like a pinball. Well, okay. I never really mastered that one. But I learned the other things! Beyond the science and life aboard a ship, I met some of the coolest people. Julia, our chief scientist, was a great example of what good leadership looks like. She challenged us, looked out for each of us, and always cheered us on. I’m excited to take what I learned from her back to the classroom. Tracie, our Harmful Algal Bloom specialist, taught me that even the most “boring” things are fascinating when someone is truly passionate about them (“boring” is in quotes because I can’t call phytoplankton boring anymore. 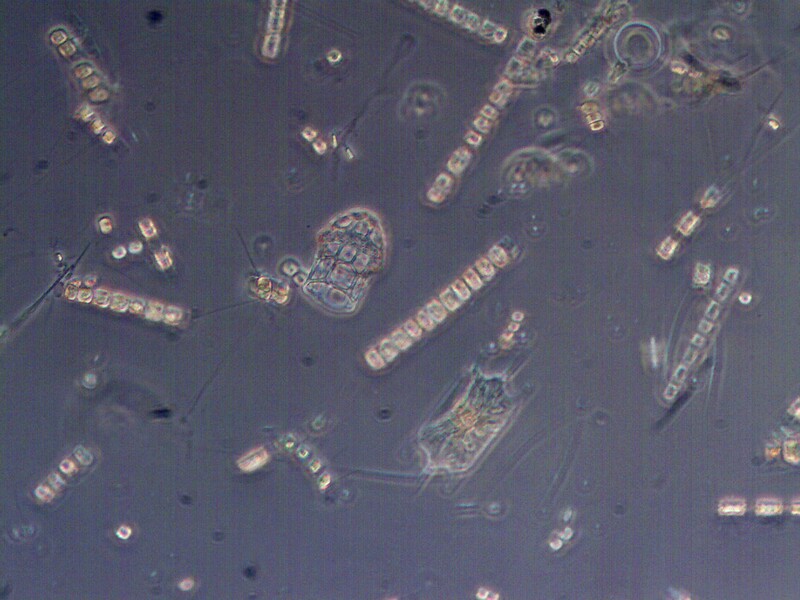 And zooplankton? Whoa. That stuff is crazy). Lance taught me that people are always surprising – his innovative ways for dissecting fish were far from what I expected. Also, Tim owns alpacas. I didn’t see that one coming. It’s the surprising parts of people that make them so fun, and it’s probably why our team worked so well together on this voyage. I can’t wait to bring all of this back to my classroom, specifically to my math class. My students have already been asking me lots of questions about my life at sea, and I’m excited to take them on my “virtual voyage.” This is going to be a unit in my eighth and ninth grade math classes where I show them different ways math was used aboard the ship. I’ll have pictures and accompanying story problems for the students to figure out. They’ll try to get the same calculations that the professionals did, and then we’ll compare data. For example, did you know that the NOAA Corps officers still use an old-fashioned compass and protractor to track our locations while at sea? They obviously have computerized methods as well, but the paper-and-pencil methods serve as a backup in case one was ever needed. My students will have fun using these on maps of my locations. They’ll also get a chance to use some of the data the scientists took, and they’ll see if they draw the same conclusions the NOAA scientists did. A few of our team were measuring pyrosomes, so I’ll have my students look at some pyrosome data and see if they get the correct average size of the pyrosome sample we collected. We’ll discuss the implications of what would happen if scientists got their math wrong while processing data. I am so excited to bring lots of real-life examples to my math classroom. As I always tell my students, “Math and science are married.” I hope that these math units will not only strengthen my students’ math skills, but will spark an interest in science as well. This was an amazing opportunity that I will remember for the rest of my life. I am so thankful to NOAA and the Teacher at Sea program for providing this for me and for teachers around the country. My students will certainly benefit, and I have already benefited personally in multiple ways. To any teachers reading this who are considering applying for this program – DO IT. You won’t regret it. 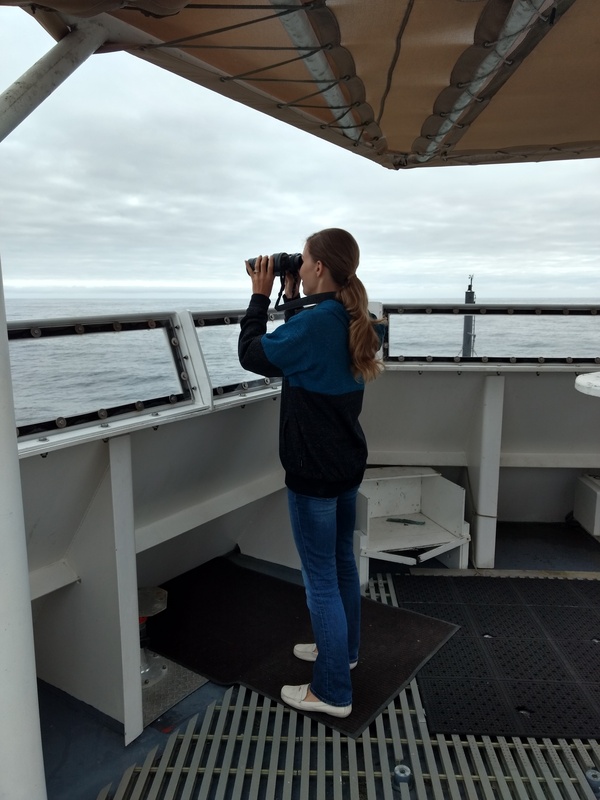 This entry was posted in 2017, Christine Webb, NOAA Teacher at Sea and tagged classroom, conclusion, hake survey, NOAA Ship Bell M. Shimada, plankton, pyrosome. Bookmark the permalink.